Kolkata: The ashes of former prime minister Atal Behari Vajpayee was brought to the city today and will be immersed in various rivers across West Bengal. 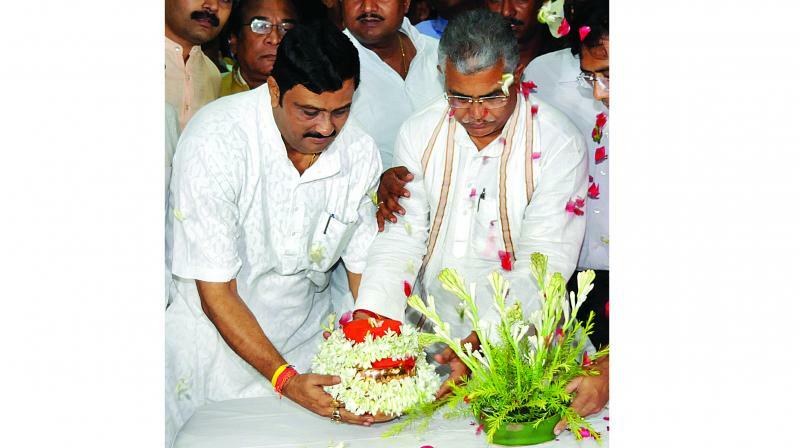 The “asthi kalash” was brought to Kolkata today by state BJP president Dilip Ghosh and will be taken to Gangasagar on Thursday where it will be immersed as part of the party’s country-wide programme, a party leader said. The contents of the main kalash (urn) will be divided into four other urns. The main urn will be immersed at Gangasagar and the four other urns will be taken to north Bengal, Farakka, Bankura and Nabadwip, he said. “The people of these areas too want to pay their respects to Vajpayeeji so it will be taken there and immersed in rivers there,” Jaiprakash Majumdar, vice-president of West Bengal BJP unit told PTI. Prime Minister Narendra Modi and senior BJP leaders handed urns with former Prime Minister Atal Behari Vajpayee’s ashes to party presidents from across the country at a function in Delhi on Wednesday. The BJP has decided to take out “asthi kalash yatras” in all districts and immerse the ashes in rivers across the country. Processions will start from the state capitals and will pass through all blocks, party leaders said.